We understand that the safety of your information is extremely important to you. We do not share your information with third parties for commercial purposes. Hairbird.com uses the Secure Sockets Layer(SSL) software, which encrypts information you input, to maintain the highest level of security between the server and the person visiting our website. SSL Certificates also help to protect your passwords from being intercepted, when typed into a secure login page. Keeping you safer when you shop. Hairbird.com uses Paypal Payflow Pro and Paypal Express to process all of your online credit card purchases. 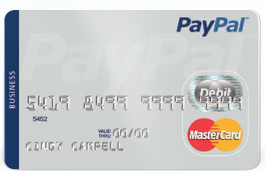 PayPal allows you to pay for a purchase using your credit card, debit card, or PayPal account. With risk and fraud-management systems and world-class security, PayPal is dedicated to keeping your information safe and private. We do not keep your credit card number or expiration date. All purchases will be made over PayPal's secure server and payments will be made immediately. We reserve the right to cancel and refund any order that we deem to be fraudulent or suspicious.